Alcoholics Anonymous has made it a tradition to compete for men's league titles. 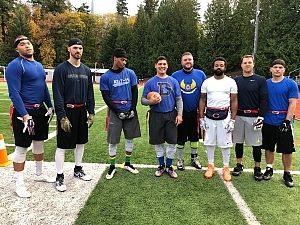 They were back to defend their crown against league rookies, Pick Six. Pick Six had a busy day, first battling AMPAP in a semi-final game. They rolled through that game and were in a position to win gold in their first Underdog season. However, AA's experience proved the difference. Pick Six got behind early, and mounted an impressive second-half rally; the hole was too big to dig out of, and AA held on for the 46-41 win. 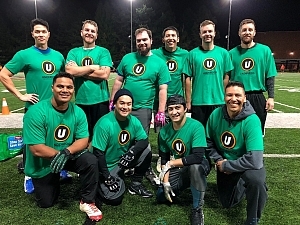 Congratulations to Rose City Swagger for a hard fought season, and for earning first place in the second division!